Nephrite is a powerful healing stone. The name "Nephrite" is from Greek "nephros" which means ‘kidney’ with reference to its efficacy in treating kidney disease. In many cultures, particularly Chinese culture, Maya Culture, Maori culture, jade is consider the "Stone of Heaven", and a wonderful and power healing stone. According to a research by Dr. B. H. Yoo et al, nephrite jade radiates far-infrared rays, which bring beneficial effects on human body, especially good on skin, blood circulation and skin cell vitalizing. Please refer to the research report published at Journal of Cosmetic Science, 53, 175 (2002)). Abstract of this article is cited below. Data indicating far-infrared ray radiation of nephrite jade from the same report is also cited below for reference. For detailed information, please refer to the full report. There are quite a few patented inventions about using nephrite powder or extract of nephrite powder as ingredients of beauty care and health care products, and even in beverages, for example patents CN001034456, CN1324609A, CN1343495A, CN1751600A, etc. In beauty care products, nephrite jade is also used as a very special ingredient that cleanses, exfoliates and hydrate the skins. Examples of nephrite jade containing beauty care products such as	Estee Lauder Idealist Dual-Action Refinishing Treatment, and Beauty Soap Bar of NEPHRIA brand. 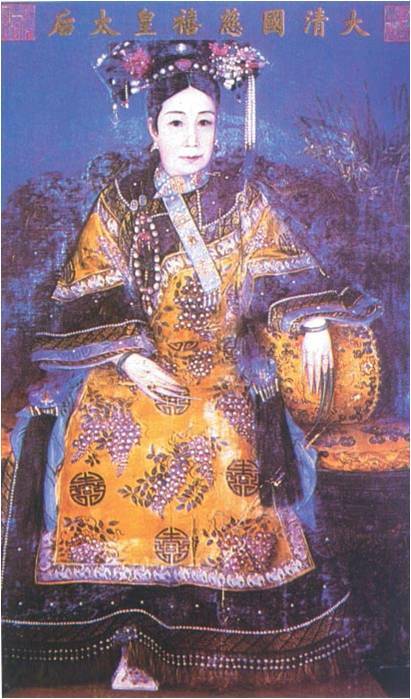 It is well documented that the actual ruler of China Qing Dynasty Empress Dowager Cixi loved to use nephrite as a massage bar. China Qing Dynasty ruler, Empress Dowager Cixi loved nephrite massage bar. 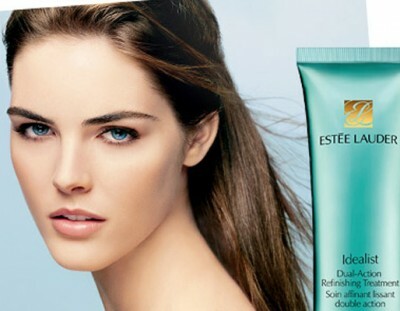 Estee Lauder, the big name in beauty care products worldwide, has a product, Idealist Dual-Action Refinishing Treatment, with nephrite jade as the key ingredient to exfoliates and hydrate the skins. The most luxurious, exquisite and extravagant Beauty Bar, NEPHRIA, contains nephrite jade powder as the main components. Please Google "nephria" for detailed information. 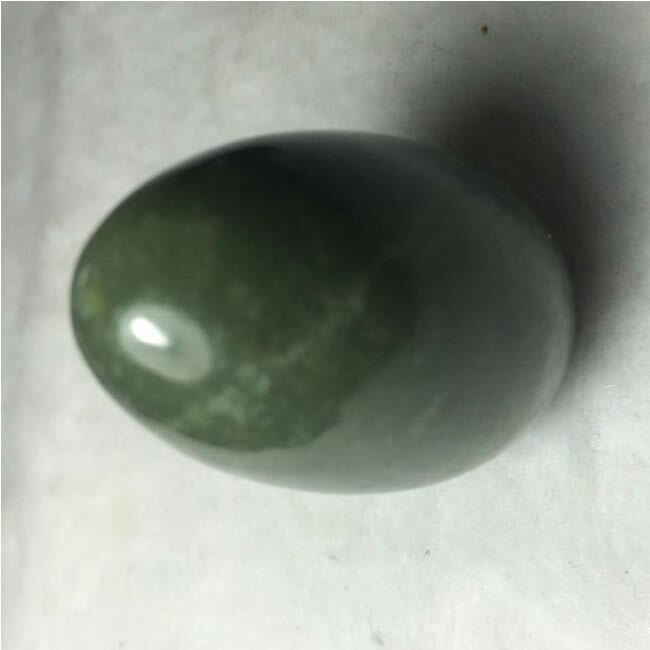 Because of the intimate usage of yoni egg during Kegel exercise for healing benefits, nephrite jade is the BEST choice for yoni egg due to its excellent healing properties and dense, hard and strong mineral structures. Nephrite jade is harder, denser, and heavier than most stones, and is safe, clean and pure. 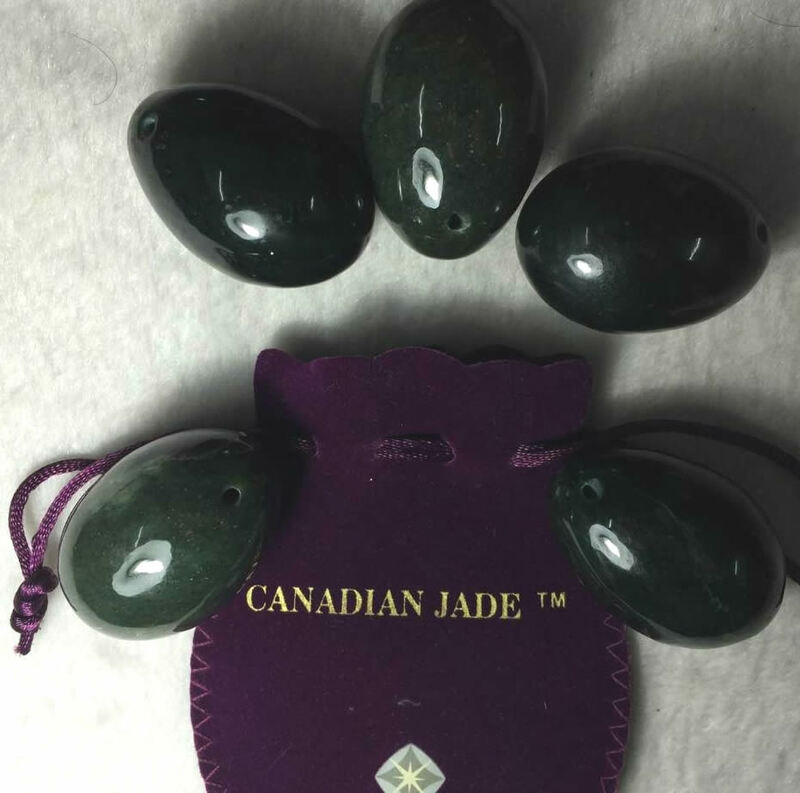 Nephrite jade yoni egg is considered the best choice for Kegel exercise.